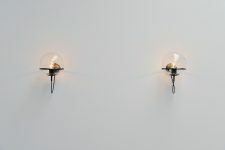 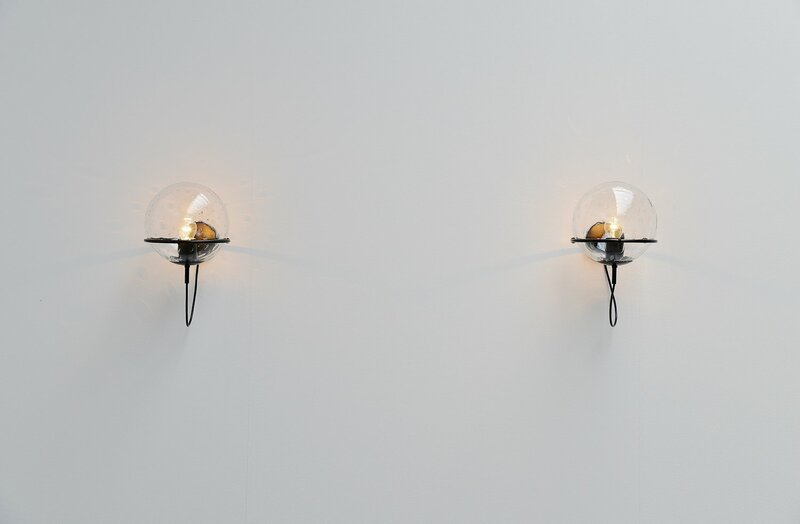 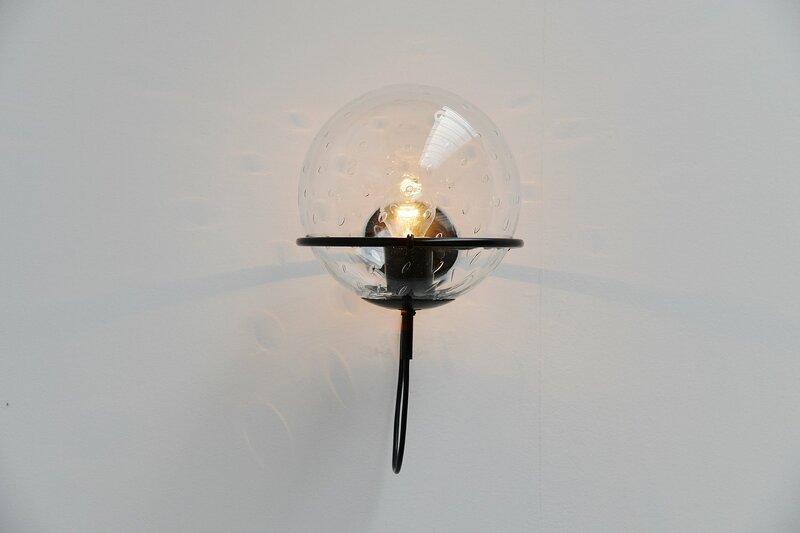 Very nice pair of sconces made and designed by Raak Amsterdam, Holland 1975. 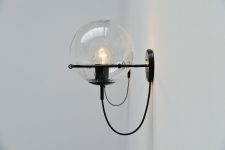 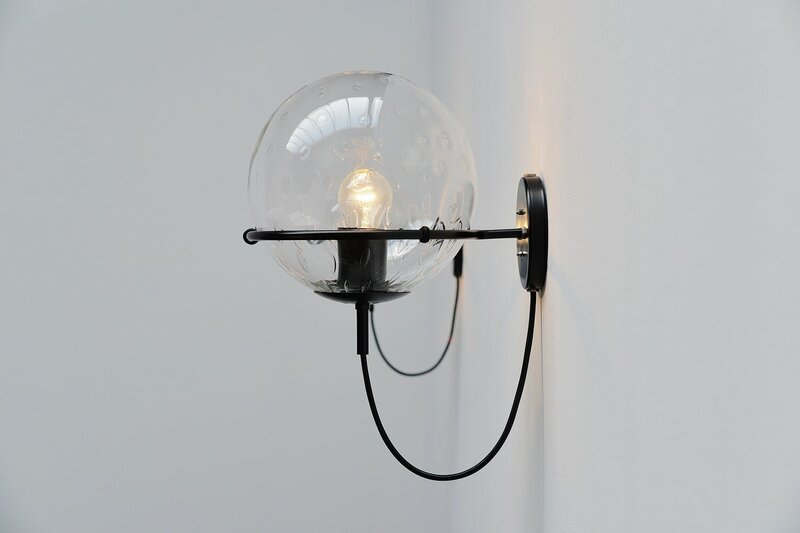 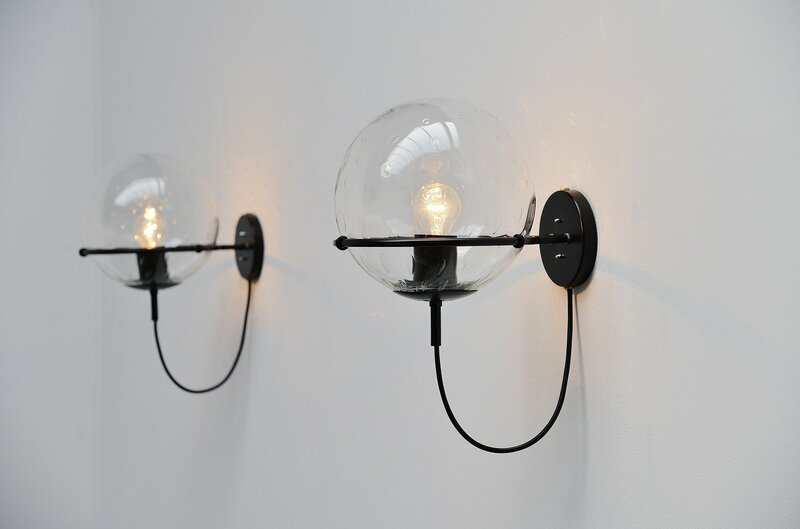 These sconces are called 'Basket Bol' (Basket globe) in the Raak catalogue. 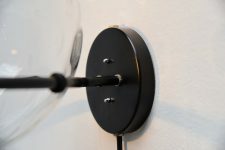 They have a black lacquered wall plate, chrome plated ring and the globes have raindrops look glass with bubbles. 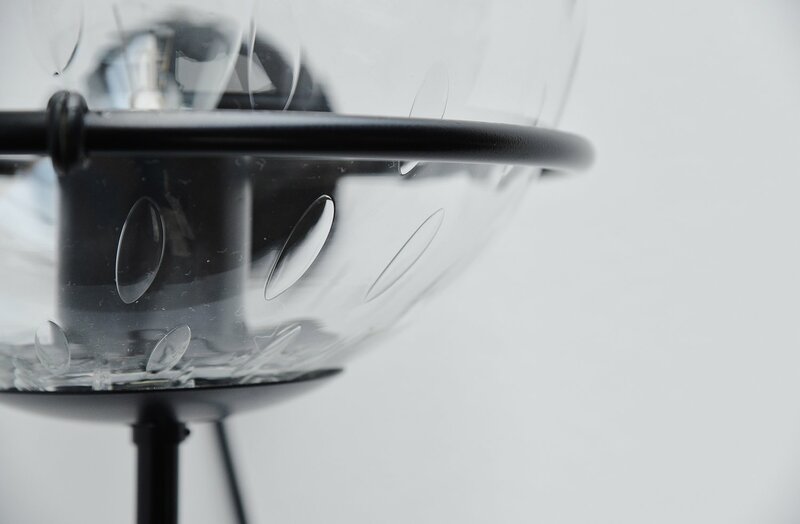 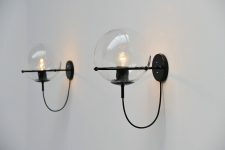 Very nice pair of lamps gives spherical light when lit. We have a set of 4 available, all in perfect condition.